Proven global equity income specialist, Mark Whitehead, who last year joined Martin Currie as Head of Equity Income, was recently appointed Portfolio Manager of Securities Trust of Scotland. Securities Trust of Scotland aims to deliver a rising income and long-term capital growth through investment in a balanced portfolio constructed of global equities. While the implications of trade wars, currency volatility and political change have weighed heavy on Emerging Markets (EM) this year, the asset class remains compelling for longer-term investors, with many using recent market weakness to increase their allocations. Join Kim for a stimulating update on the drivers for EM and an insight on opportunities the Martin Currie EM team are focusing their efforts on to maximise performance prospects for clients. Martin Currie Global Portfolio Trust offers investors a core equity portfolio. It invests in global equities for long-term growth and is well diversified across around 50 individual holdings. Asia represents a compelling opportunity for investors. By 2030, the region is forecast to make up two-thirds of the world’s middle class, intra-regional trade is booming and many countries are embarking on massive infrastructure development. Martin Currie Asia Unconstrained Trust aims to deliver returns in line with normal GDP growth, investing in businesses we believe are capable of translating the region’s growth into sustainable returns for shareholders. Many UK investors have a disproportionately large exposure to UK equities – despite clear and present dangers faced by some of the key sectors and industries. Join Tom Walker as he discusses the key economic issues and presents his case for a high conviction, global equity portfolio - a simple alternative that could help to reduce concentration risk and open up new opportunities. Over £720 billion* was paid out by companies in the MSCI ACWI index over the last 12 months, proving that global equities offer a rich source of income for investors. Not all global equity income investments are created equally. 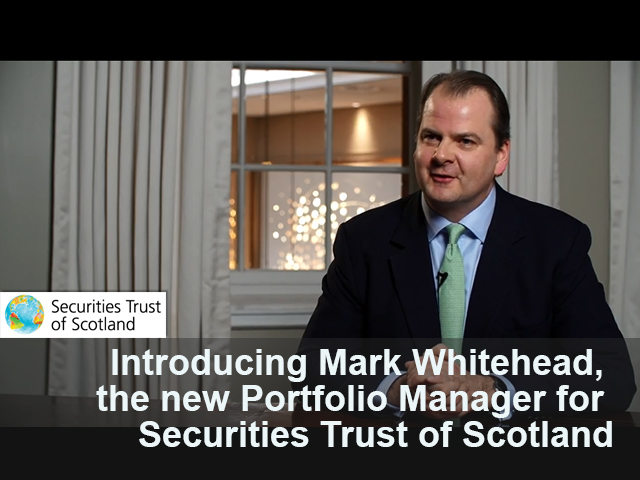 In this webinar, Mark Whitehead, Portfolio Manager, will outline the benefits that Securities Trust of Scotland offers its shareholders - and what sets it apart from the competition. Currently yielding 4.0%+ Securities Trust of Scotland aims to deliver a rising income and capital growth over the long term from a portfolio of global equities. Income is not guaranteed. Should this investment be on your radar? *Source MSCI 30 June 2016. +Source for historic yield: Martin Currie as at 30 June 2016. The historic yield reflects dividends declared over the past 12 months as a percentage of the mid-market share price on 30 June 2016. Asia is one of the fastest growing regions in the world, but is known for the volatility of its markets. What if there was a way to capture the growth of the Asian economic region but with less volatility? Portfolio Manager, Andrew Graham, outlines how his team find high quality Asian companies that he believes will grow in line with the region’s GDP - but will be less volatile that the regional market. Find out more about Martin Currie Asia Unconstrained Trust, a high conviction portfolio of 20-30 companies that have passed the team’s rigorous test, including a thorough ‘forensic accounting’ analysis. Tom Walker, Portfolio Manager, shares his views on current market conditions and how the team are identifying companies that could prosper in a low growth environment. Latest from Martin Currie Investment Management Ltd. We are active active equity specialists, crafting high-conviction portfolios for client-focused solutions. Investment excellence is at the heart of our business. Central to this philosophy is a stock-driven approach, based on in-depth fundamental research, active ownership of companies and skilled portfolio construction. As an affiliate of Legg Mason, we also have the backing of one of the world’s largest asset management firms.